Studio 54 dance wear by Stephen Burrows. 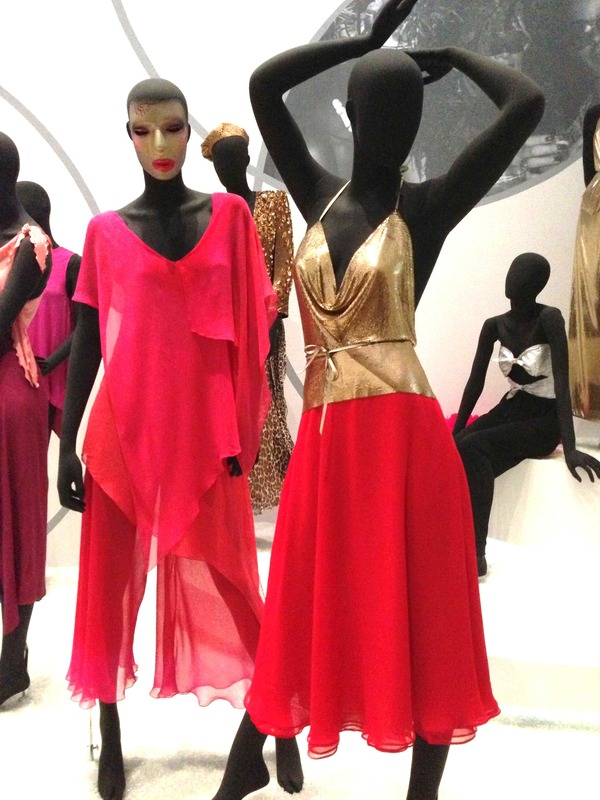 To experience an all-out burst of color, walk through the doors of the Museum of the City of New York and visit the paparazzi-worthy tribute to a 1970s design legend, Stephen Burrows: When Fashion Danced. You’ll get to know the man who styled Liza, Cher, Diana, Farrah, and so many icons of the 1970s with bright, beautiful, glamorous draped designs were made to whirl around the dance floor. Vogue issues throughout the 1970s were filled with cavorting models sporting color-blocked coats, dresses, sweaters, and evening wear and lettuce-edged jersey wrap tops, cocktail dresses, and pant suits by King of Qiana, Stephen Burrows. When he burst upon the scene in the late Sixties, Geraldine Stutz installed him in her ground-breaking “street of shops” that she created at Henri Beldel, when it was still on 57th Street. If you don’t know Stephen’s work, a stroll through the first floor of MCNY will set you straight about who actually created the draped metallic disco top emblematic of Studio 54. 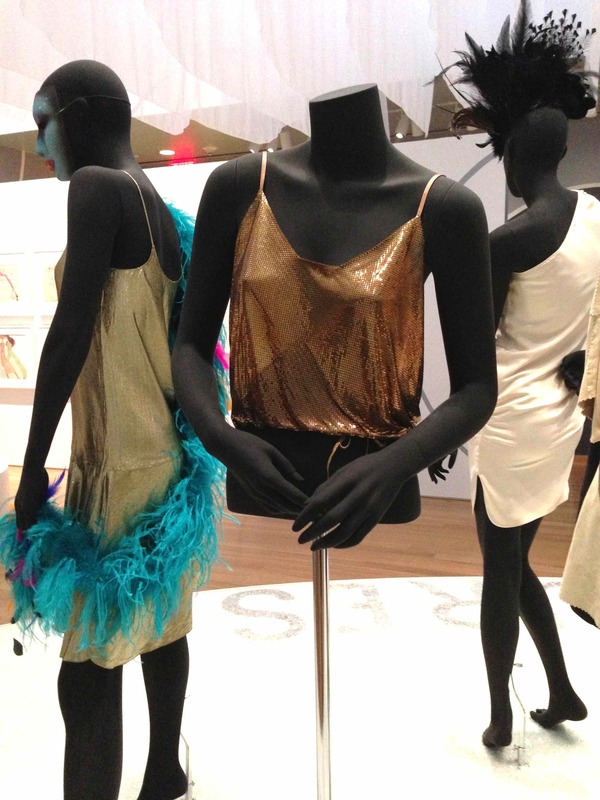 It’s the first retrospective dedicated to this stylish creative powerhouse, with ensembles drawn from the Burrows archive, FIT, the Metropolitan, and MCNY’s own treasure trove, and you’ll have until July 8 to see it. Stephen gave us the draped metallic disco top and so much more. The opening night party drew fashion royalty, and when we visited, Michael Kors was levitating with excitement, seeing the work that inspired so many to drape, piece, and glamorize with eye-popping colors. Check out the looks on the Flickr feed. Don’t miss the major piece of fashion history hiding in one corner of the show: At a time when American fashion was viewed by Europeans as second rate, Burrows and Blass, Calvin, Oscar, and Halston were invited to follow the French at the still-talked-about 1973 benefit fashion show at Versailles. You’ll witness how Stephen and the NYC crew battled it out on the stage against YSL, Cardin, Ungaro, Givenchy, and Dior. Spoiler alert: Stephen and his American crew won. Historic is an understatement. This entry was posted in Fashion, History, Museums and tagged arts, culture, design, fashion, history, museums, style, textiles by mssusanb. Bookmark the permalink. Don’t worry. You have until July 28 to enjoy this, and I hope you’ll visit more than once! I’ve updated the post to reflect this, although all of the Flickr photos have the dates. Thanks!